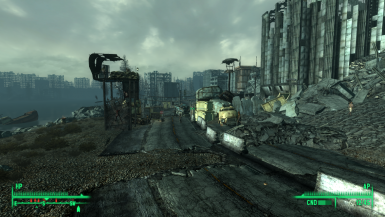 This is a massive and immersive HD audio overhaul for Fallout 3. 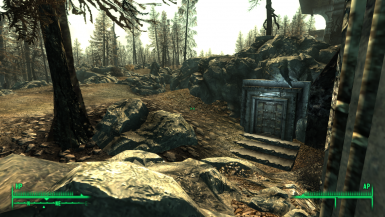 Enhances all of Fallout\'s eyes with realistic, high-resolution textures and adds new modifications for greater reflection and depth. 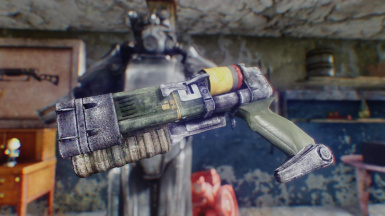 This mod changes a single value so that your gun will always point towards the crosshair - where you're looking. 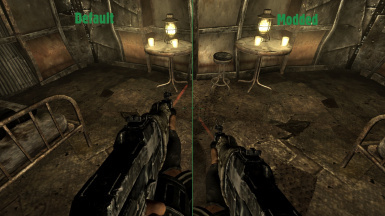 In vanilla the gun will not point towards where you are looking if you look up or down, preferring to level itself out. This makes aiming without right-clicking unintuitive. 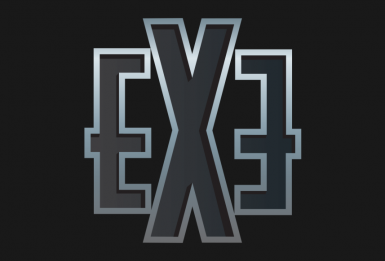 Are you bored with the default crosshair in the game? Try one of these! 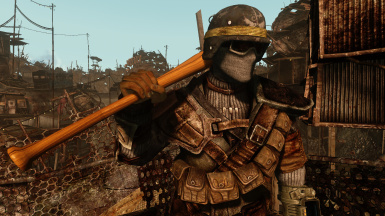 Every last visual effect texture in FO3 base game remade. 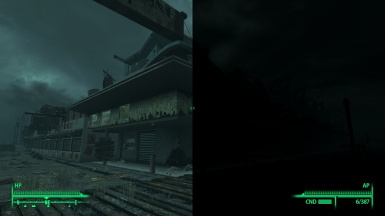 This affects all visuals in a great way. 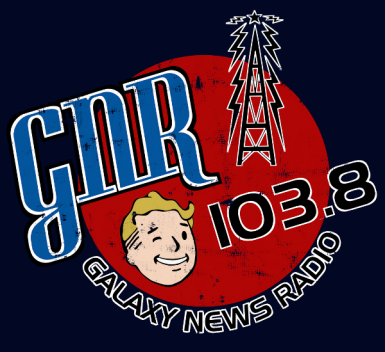 Lore friendly music, ads and fan made radio shows to enhance your GNR experience, Including music stylings offered with release of Fallout 4!. All in MP3 format to easily pick and choose in the required GNR expanded mods available in many forms. 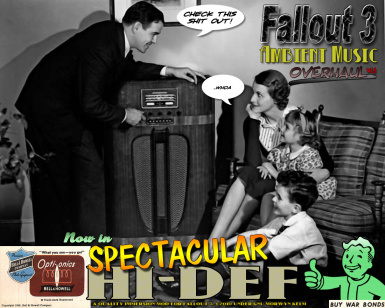 OVER 100 ads and artwork and 194 tracks between 5 optional files! 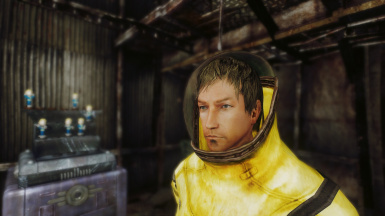 This mod makes the helmets/visors on the radiation suits in FO3 clear. Simple mod, simple description. 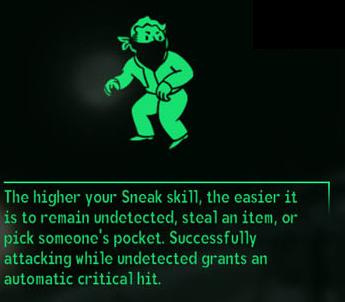 Sneaking feels more how it should be. See the long description for more information. 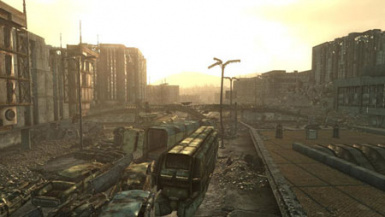 Adds 5 Scavenger Camps seemlessly to the wasteland. 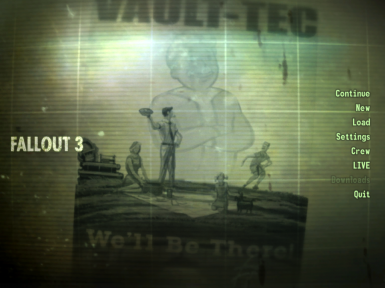 Darkens the glare, swipe, and brightener of the load screen! Before Point lookout this part of the map only had the citadel and some talon mercs so I added this New Raider Stronghold to give the player a trapped on all sides feel. 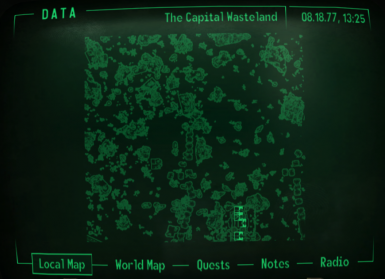 Disables the player's marker (or cursor) on the local and the world map. 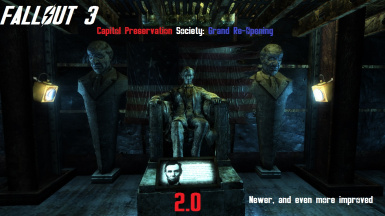 With this mod, for any level of difficulty, you will be equal to NPCs. So you deal the same amount of damage. Are you tired of all of those lame Pip-Boy colors? 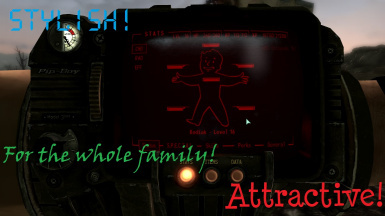 Enhance your game play with the new gorgeous RED Pip-Boy 3000 Screen!.